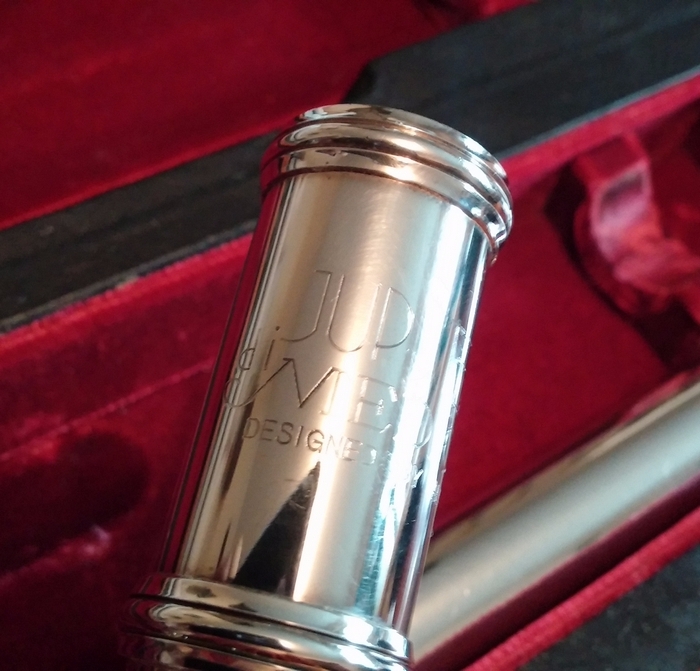 Jupiter diMedici 911RB Artist Flute by Altus. 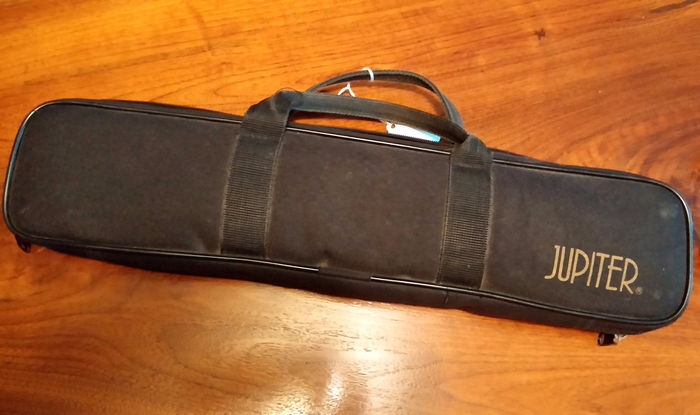 Advanced Level Model. Open Hole, Sterling Silver Handcut Altus Headjoint, Silver Plated Body & Foot, B Foot, Inline G, White Gold Springs, French Pointed Key Arms. 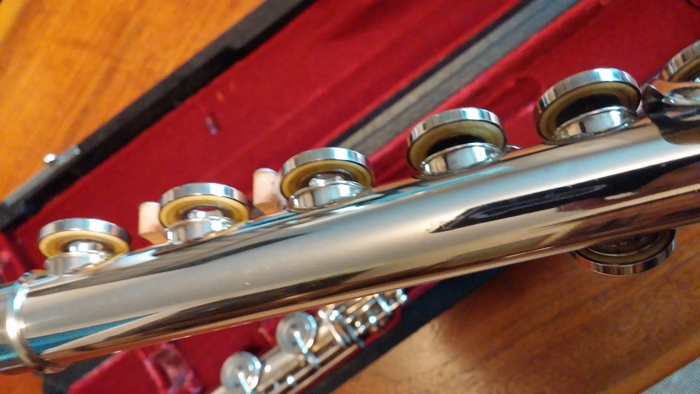 This flute gets a lovely and uniquely colorful sounding tone. 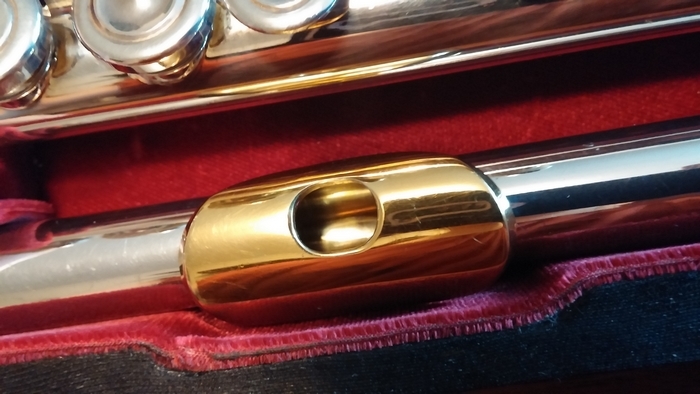 As is typical of Jupiter flutes, the keys have a very smooth and even action. 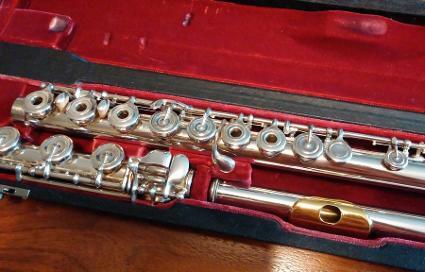 This flute was just serviced and sound great from top to bottom! 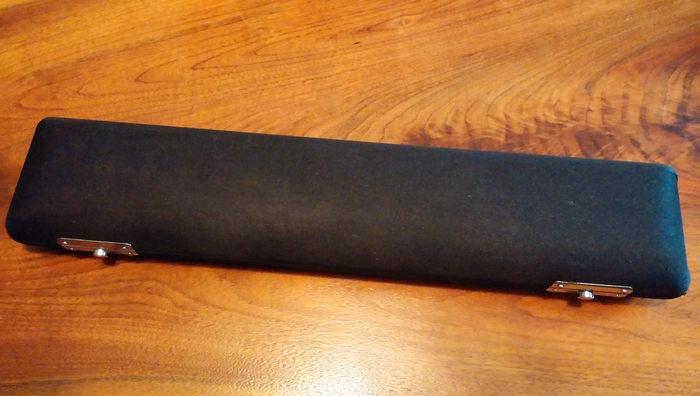 Comes with slimline French-style inner case and canvas outer case. Hole plugs available upon request.